With the America’s Cup about to start in Bermuda, back in the UK the Land Rover BAR Roadshow is underway, with the RS CAT16 chosen as their training catamaran and looking fantastic in the team’s livery. The Roadshows will give over a thousand young people the opportunity to go sailing at venues across the UK. For many it will also be their first opportunity to sail a catamaran and get a taste of the performance they offer, albeit a long way from AC levels of speed and complexity. 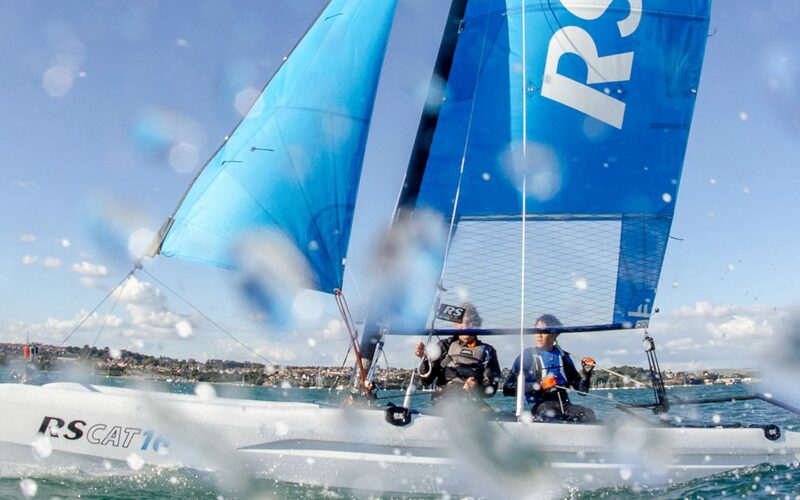 The RS CAT16 was launched a few years ago and moved rotomoulded polyethylene catamaran construction forward with a design protected system for joining the beams to the hulls, significantly adding to the stiffness. This brings the handling closer to fragile performance cats and the boat has been widely acclaimed by training centres and sailors internationally. 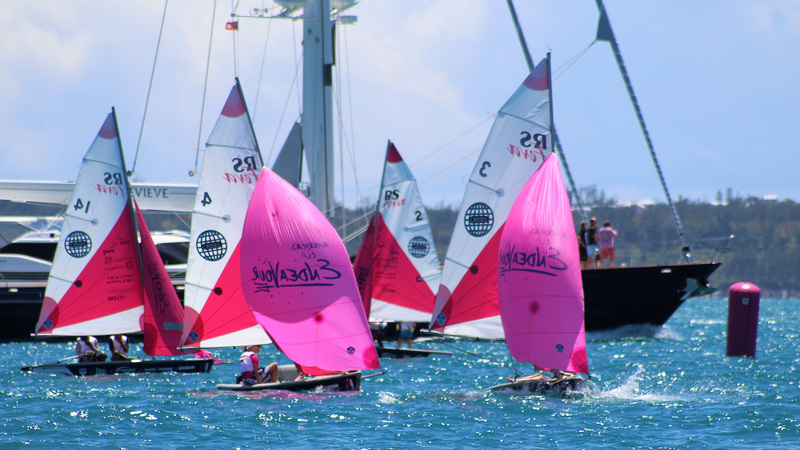 RS Sailing also has an involvement with the America’s Cup programme out in Bermuda. The RS Feva was selected for the AC Endeavour Programme that has given young Bermudians the opportunity to get into sailing. Culmination of that programme will be televised across the world when RS Feva sailors from each AC team’s home nation and other countries have the once-in-a-lifetime opportunity to do battle between the America’s Cup races. This will be a great show-case for the double-handed RS Feva class which has done so much to inspire a new generation of sailors. Its emphasis is on enjoyment and the exciting aspects of sailing as well as building competition skills. This has seen the RS Feva adopted in most developed sailing nations as part of the pathway to build sailing participation. It has become the world’s best-selling double-hander over the last decade – something RS sailing is hugely proud of.